This entry was posted on August 23, 2012 at 4:08 pm and is filed under Uncategorized. You can follow any responses to this entry through the RSS 2.0 feed. You can leave a response, or trackback from your own site. You mean you want evidence of road development beyond what Transportation Department Environmental Manager Terry Keller told Native Sun News in April? As noted in the Indianz.com article you yourself linked to? Why, exactly? Do you think Keller, the Native Sun News, or Indianz.com was lying? I have the opinion that you do not know what you are talking about and are reciting an opinion. We know what those are worth. Thank you very much. Goodbye. Rob, Chase Iron Eyes in the petition leads perspective donators from the global community to believe, there is no existing road, and that the state is going to put a road through, which is deception or outright lies, yes the_existing_county_road could be upgraded, if the EIS supports such, upgrading a county road is_not building a road to cut through Pe`Sla …. again the comments in that petition are very much misleading, or even outright lies to gain “sympathy” , to dupe people into digging into their pockets and give to a fund campaign that Chase and Affiliates knew from the get go had no chance at acquiring any of the tracks in the Auction, which is another form of “deception”. Unique, the “Facts” , not opinions, Chase Iron Eyes and affiliated misleads/deceive the global community with their petition comments, to name just a few, the state building a road through Ple`Sla, implying there are no such roads already present, the existing county road is having a EIS being conducted, to possibly upgrade/pave it, not rezone it for commercial or industrial use. The petition also implies the road to be built will be for “industrial development” implying major environmental impacts, the global community was told the petition for money was to bid on the tracts up for sale, and they requested monies knowing there was no successful chance of winning a high bid based on their money goal and time frame of which the petition was initiated, and now the reason for the petition money is to purchase other lands_that_might_come_open for purchase. There is more deception being delivered to the global community from within their petition , take the time and review it closely and you will find more, to state one more before closing this reply, there are other Nations that have a long existing history of that area for ceremony, not_just the Lakota Nations and Chase and affiliates lead the global community to believe it has always been “their_ancestral” ceremonial spot alone, when in reality, the Cheyenne, Crow, Blackfeet, Pawnee, Arapaho,etc. occupied those lands and used them for ceremony as well as the Lakota. Do you homework before you start telling people they only have “opinions”. Spruce, Money does weird things to people, the petition site says the average is $47 per person donated, that is about 6800 people for $320000, which is a decent show of support from the globe. My curiosity is, the money is suppose to go towards all tribes involved with the purchase of the lands, so “if”, 8 tribes were to be involved, each should receive 40,000 into their individual hat for funds they contribute for the purchase. I do not see that occurring, LRI seems to be setting up to have the funds given to “one” tribe, which could very well be misused by doing so. Hoping the Reynolds accept the group that made an offer on Monday, and also Hope it includes the other Nations that have a historical connection to the Black Hills. It would be a shame to see that money go to Borderland Ranch, since they admit they are sitting on stolen lands, claim to be protecting Pe Sla, but will not return what they say is stolen, pretty hypocritical and not a way to represent the Lakota, especially when they say they are adopted by a Lakota Family. Public Notice of the auction occurred in June. The tribes of the Dakota’s had money for a bid to purchase before the fund raising started. Why launch a campaign to raise money 3 weeks before auction, saying the tribes were in desperate need and that lastrealindians represented the Lakota Nation? 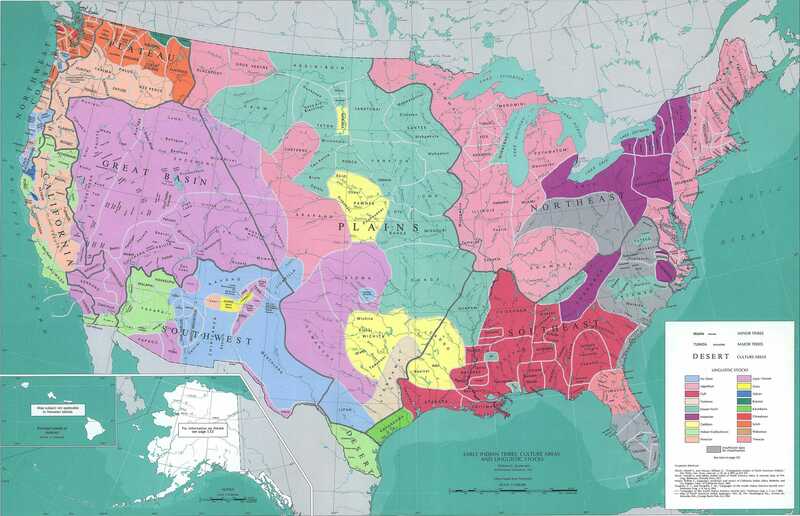 and why did the tribes allow them to represent the Nation in such a way? The Rosebud press release does_not say anything about a working relationship with lastrealindians, and the tribes web page that was up for a little while referencing lastrealindians at has been, taken down, on hold for quite a few days now. People should contact the economic director at Rosebud to find out just what the working relationship with lastrealindians is, in place of going by what Chase Iron Eyes says. LRI’s fund raising for Vern lacked transparency, the petition fund raising lacks integrity, and now the upcoming fund raising with other AIM affiliated groups will grab more, Watch …. Indian Land Capital Company (ILCC), is tied to the hip pockets of Shakopee Tribe of Minnesota, deceased Stanley Crooks, noted in the blog. Gerald Sherman (Oglala Lakota), has more than 20 years experience working in banking and finance in Indian Country. He was the founding director of the Lakota Fund (now Lakota Funds), the first Native CDFI in the U.S., located on and serving the Pine Ridge Indian Reservation. Sherman worked in banking for Norwest Bank (now Wells Fargo), the Federal Reserve Bank of Minneapolis and First Interstate BancSystem of Montana. His banking career focused on community development and financing on Indian reservations. Sherman also worked for the Four Times Foundation, investing in Indian entrepreneurs on select Indian reservations. ROSCOE, Montana—(October 10, 2012)—Indian Land Capital Company (ILCC), an American Indian Community Development Financial Institution (CDFI) specializing in financing tribes for land purchases, announced today that Wells Fargo has renewed its $750,000 investment to the capital loan pool. The loan was originally granted in 2006 to Indian Land Tenure Foundation (ILTF) which, along with Native American Community Development Corporation (NACDC), created ILCC as a collaborative effort in 2005. The loan renewal allows ILCC to continue investing the resources in tribal land recovery and community-based development projects for the next seven years. In September, using its current pool of funds, ILCC was able to loan Rosebud Sioux Tribe $900,000 for the earnest money to secure the $9 million purchase of the sacred site Pe’ Sla. Considered by the Lakota Nation to be one of its most holy sites, Pe’ Sla comprises 1,942 acres of land in the Black Hills that was privately owned by the Reynolds family, whose ancestors acquired the land in 1876. Shakopee Mdewakanton Sioux; reported in 2010, Its loans include $41.5 million to the Leech Lake Band of Ojibwe; $38 million to the Oglala Sioux Tribe; $31 million to the Red Lake Band of Chippewa Indians, and more than $60 million to the Sisseton-Wahpeton Oyate during a 10-year period. given time, Rosebud if it acquires the Reynolds property, will say we have no other alternative but to develop gaming in Pe Sla in order to make good on the loan. watch …. The masquerade pow wow creeped me out. (In Indian Country Today article I posted above.) I’m ok with trick or treat and if people want to celebrate Day of the Dead or Hallows Eve as long as it honors the dead, which is the meaning. But when it turns grisly and monstrous and gruesome and evil, that’s where it ends for me. And it also ends for me when people mix pow wow where most certainly there is going to be a prayer and honor songs and dances with regalia that mean certain traditions to certain nations. Why would you mix costuming/masquerading with traditional celebration, especially when people still ignorantly dress up as Indians on Halloween? I guess in this instance a “masquerade” is exactly what it is.P.S. Thanks for the background on ILCC.